My first Halloween object for DX. 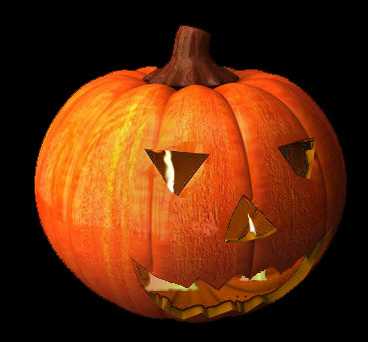 It's an animated pumpkin,with the candle inside it burning and a freaky sound upon click on it. You may use it as decorative or assign to it some function. I love this, Harry. Way to go on your first object. It is fantastic. Love the texture of it, and the laughing> Excellent job!!! Thank you Cindi,i just found some pics of actual pumpkins and after alot of photoshoping it came out like this. Nice job on the 1st one! Thank you very much for the support Citizen sandpiperw. ..and these are trasparent so you can use them on any kind of desktop! Thank Bichur. Thank you Tarkus. Nice emoticon too. I was looking for these in the widget section..i just export them as widgets anyway. Could you make it a LITTELE bigger? I can almost see my desktop on the edges. wegg you can adjust its size to anything you like. Just go to DX Builder,right-click tha object and in its properties change the size at your own custom size. The rest is up to the program. Looks really cool , but I get no sound. Thank you Grey Bird. The sound should work,dunno why you don't get sound. PS: Try the following. Rename the .dxpack to .zip and unzip. There you will find the sound file. If for some reason your DX didn't understand the object relations then just go to your objects properties and assign the sound to any of the states you'd like. Hi there my name is aagii and need some help here?! the reason is my first bootscreen its not working what shoud'i do now?